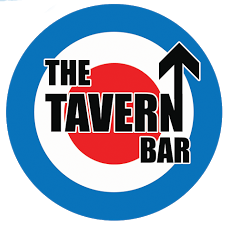 The Tavern Bar Naama Bay, the original and still the best Brit bar. Unleashed in July 2003 it quickly became the place for ex-pat locals and holiday makers alike. Boasting 7 screens and 6 satellites for all live sporting events, regular party nights, resident jukebox DJ 7 nights a week, 60,000 song big screen karaoke, live entertainment, English style pub grub with the BEST Sunday lunch and full English breakfast in town. Offering 3 venues in 1 comprising of a downstairs traditional pub style bar, large screen projection system and 3 widescreen LCD TV screens. Upstairs a lounge style seating area with an additional bar and 2 TV screens. Last but no means least the terrace, and ideal family/dining area with an additional large screen TV for major sporting events. All areas are fully air-conditioned and open every day from 10am till the wee hours, serving food until 12pm. A family of over thirty long term staff will ensure you feel welcome and at ease.